The weather for the 2012 Homecoming parade provided plenty of conversation as people compared ways to stay warm. 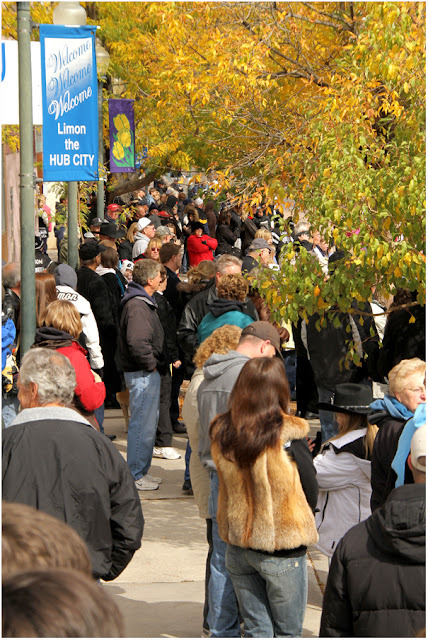 Alumni and spectators lined E. Ave in Limon on Saturday morning to take in the parade which began at 10 a.m. 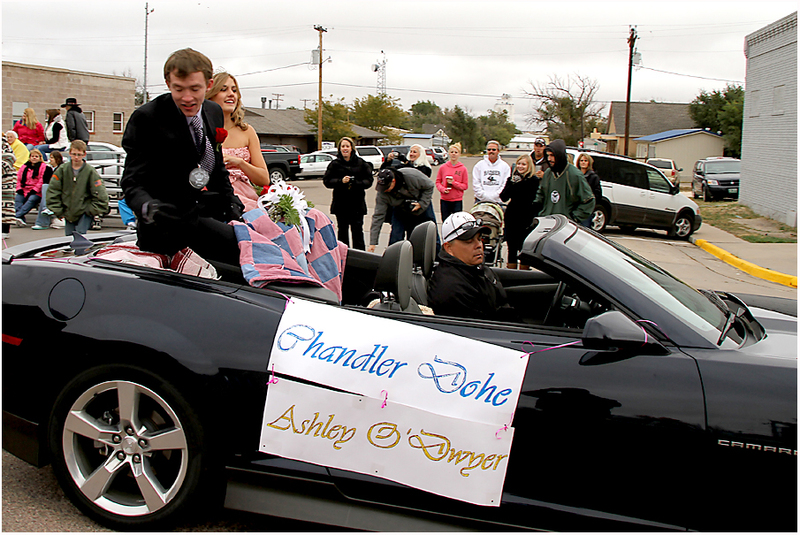 The King and Queen Chandler Dohe and Ashley O'Dwyer, along with the rest of the royalty cruised in style in convertibles through the parade rout. 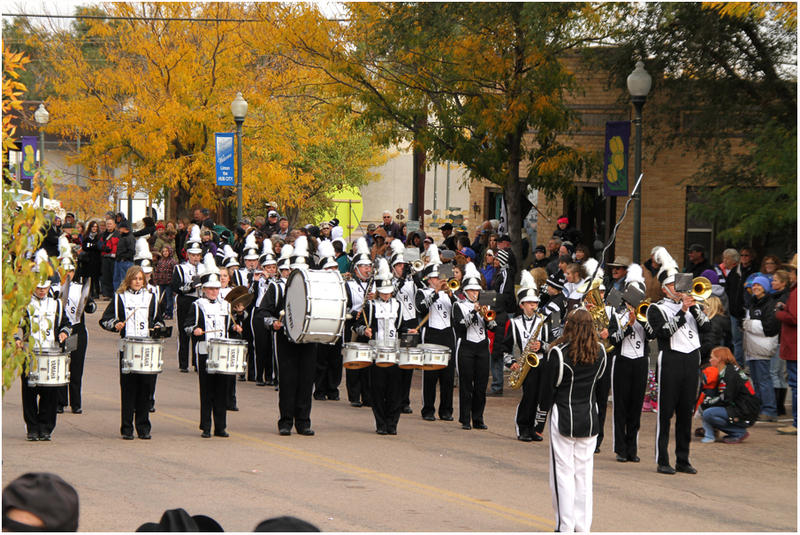 The High School band played several selections including one from Earth Wind and Fire. 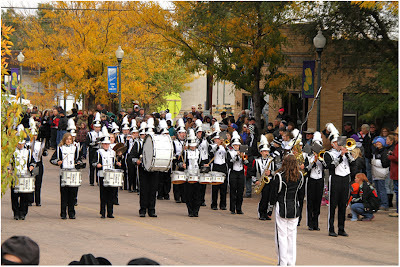 They provided great music and marched with stunning precision as they completed their performances. We will have scores from the football game later this afternoon, and the complete stories in Thursday's Limon Leader.